Meet our Cambridge, OH Dental Team - Here to Help You! Becky has been active in the dental field for seventeen years, having functioned in most every aspect of dentistry. Becky herself was a patient at our practice prior to her employment with us in 2011. She has always had a love for dentistry and enjoys working with patients to make their dental experience equally as gratifying. Becky resides locally with her husband Shad. In her spare time, she enjoys spending time with family and friends, skiing , riding her motorcycle, boating, scrap-booking, and traveling. Please contact Becky for your Dental care! Ashley is a Registered Dental Hygienist here at Dr. Wakefield's office. She enjoys educating her patients on oral health, as well as helping patients maintain good oral hygiene. One of Ashley's goals as an RDH is to help patients realize that a healthy mouth promotes overall health of the body. She has a love for health and fitness, and strives to encourage others to take charge in their own health. Outside the office, Ashley enjoys spending time with her husband, family, and friends. She also enjoys being the mother of two fur babies, Bailee and Hank, who are both pit bulls. 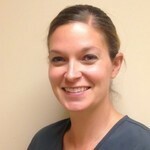 Jessica has been a Dental Hygienist for almost thirteen years and wee were fortunate to have her join our practice in 2015. She enjoys sharing her passion for dentistry with her patients and it shows. She has a wealth of knowledge and experience in the dental hygiene field. Jessica resides in Pleasant City with her husband, Jared, and their two daughters, Jarica and Jaelee. When not at the office, you will find Jessica and her family working on their horse farm.